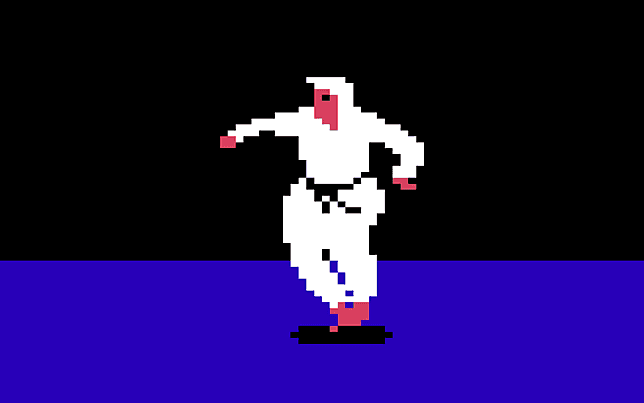 A screensaver of a dancing ninja from the 1984 video game Karateka. This screensaver consists of part of the end scene from the 1984 video game Karateka, where the protagonist, a ninja, celebrates his victory by dancing. The screensaver shows this animation in an endless loop, and does not include music or sound effects. The Piggybank screensaver populates your desktop with walking pigs, or rather, piggybanks.You can set the number of pigs, toggle sound, have your desktop as background or a black screen and choose to add dropshadows.